It is no more a fad that PHP plays a pivotal role in running the world’s largest web infrastructures; a glaring example is the PHP-powered Facebook system itself. In other words, you cannot argue any more of the truth that PHP caters for a solid software architecture. That said, the concerns are now centered on business goals, which change so fast due to the rapid evolving nature of the Internet’s ecosystem. This constant change triggers a crucial question mark: how relevant are business goals in software development? To this end, two key people in the IT world of MayFlower, Periklis Tsirakidis and Johann-Peter Hartmann, have conducted a survey. You can read the complete, indepth analysis of the survey by downloading their PDF file (they ask for a registration before actually downloading the file). It was an interesting read and I have tried to highlight some important parts below, but this is only part of the big picture elaborated in the pdf file which I recommend downloading. To determine the Relevance of Business Goals in Software Architectures for the PHP Community, taking into account the characteristics of PHP being the MOST used Programming Language for Web-based Systems and its ability to cater for fast evolving requirements. It’s obvious that software architectures represent a main bridge between Business Goals and building the Software System itself. This categorization was researched in 2005 by the effort of Rick Kazman and Len Bass of Carnegie Mellon University. I would like to say that I think the survey should have at least named or made it clear as to what were those ‘PHP experts’ who actually took part in the survey, idem for the ‘PHP community’ – why? Because what might appear as experts for a group, might not be sufficiently acknowledged by another; just ‘many years’ of experience not necessarily tags them as experts. As for the Community, it is vast – if you contribute or you develop in PHP, that makes you part of it too, so who were those people considered as being The PHP Community? 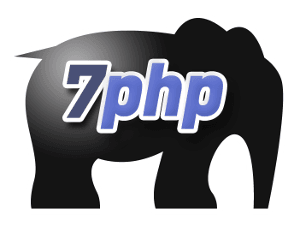 Was it the actual body behind the progress of PHP, was it the Zend team, was it just some day-to-day PHP developers/contributers ? Feel free to voice your views below..
Nice read! I’m a real fan of SAAS and SOAs. I firmly believe that services will be the next move of web applications and that PHP is the most flexible tool available for this type of evolution. Problem is: how to put this is the Mauritian context? How to get Mauritian structures to understand that their next move should be online and that they should embrace the new tools as well as new perspectives offered by new software architectures? yes this is a big question. I think to turn this into a Mauritian context involves much of making them aware. We need to include it as part of the culture. It should be something natural and present in everyday life. In Mauritius, there’s no such honest effort to bring the IT world as part of the Mauritian culture. Take for example the Cyber City – this is a complete flop from my point of view. Apart the name there’s nothing concrete being done to make it a real cyber space, and hence a cyber Island. Most of those towers are used as call centers. And you can also see some offshore companies coming in gradually, but all this is very slow and without being convincing. I had a talk with a CEO of an IT company, he told me he went to inquire about getting a space in those towers. He told me to his great dismay there was no cabling (internet) facilities at all in those space and that he would need to arrange for all these. What I want to stress from this example, is that how can you claim to be a cyber city when you don’t even cater for the pillar of being cyber, that is proper, accessible connectivity? So I think the authorities themselves are the culprit, not the new IT generations, because those guys somehow do have their group running, though not 100% online. If you give them the necessary tools, environment, space, it is no doubt that those IT concepts would be part and parcel of the Mauritian culture. Another example is the Mauritian E-Commerce. There’s no full fledged paypal usage as such and NO local bank currently offers an internet e-commerce facility. You have to dig down in depth to achieve this. Those bank stupidly mixes the concept of online banking with their current online local-only bank access. SBM online or MCB online is just for the local to interact with their local account, so if I were to open a business to target an international audience, I will have to go through so much walls. So Mauritius claims to be a cyber island, with no good connectivity, no honest and convincing move from the body governing it and no online/international banking exposure. It’s a pity since Mauritius has ALL to excell in IT, we just lack a good new generation of an IT conscious governing body! good post brother.. I still waiting for another post. Keep writing and nice to visit your blog.. thank you.